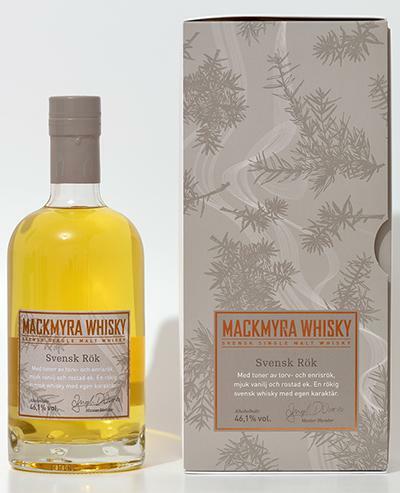 Svensk Rök, which simply means Swedish smoke, is the only peated single malt available that was produced from only Swedish ingredients. It matured on very small casks of 30 liters. The staves are from American oak, while the heads are in fact from Swedish oak. 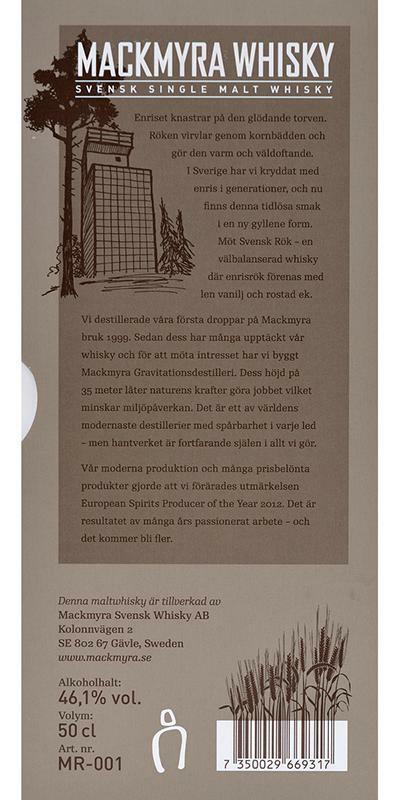 It is only available in 50cl bottles because the Swedish government (who owns the right to sell alcohol) issued a tender for peaty whisky in small bottles. 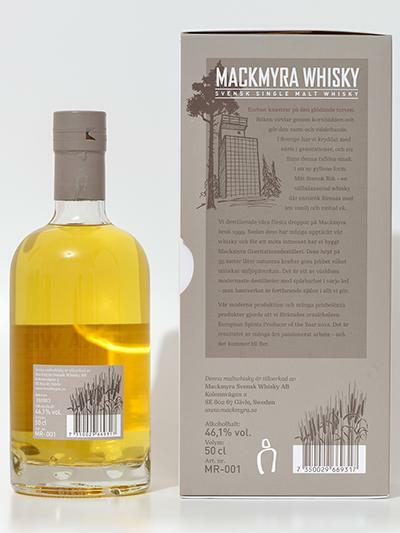 Mackmyra was awarded the assignment to produce it. The nose is firstly sweet on vanilla and caramel, before the smoke kicks in. The smoke is very discrete, I must say. The fruit translates into apples, oranges, some banana and a surprising touch of juniper berries. Yes, sniffing this with my eyes closed, it reminds me a bit of gin, but with a twist. After a few moments, some sultanas join in. Lightly oily and immediately pretty spicy. Think aniseed, garden herbs and a hint of woodspice. The smokiness develops nicely in a sweet and sour jacket of gooseberries, sniffing tobacco and lime. Surprisingly different from the nose, but pleasant. The finish is rather long, sweet and sour with a salty burst at the very end. I was not very impressed with the nose, but the palate and certainly the finish made up for a lot. A nice spicy smoke first rises from the glass. It smells like earth, moldy wood and herbs. Is that perhaps the juniper with which the malt was smoked? I'm still undecided. Then sweet vanilla and citrus freshness. Spicy start with smoke, earth and wood. In the first impression slightly alcoholic but then pleasantly warm. From the throat, the herbs rise again, this time clearly recognizable as juniper. On the back palate a lot of oak. Drying. Medium. The smoke remains pleasantly tender. Then there’s there peated spirit that goes into making Svensk Rok.Rok means smoke. 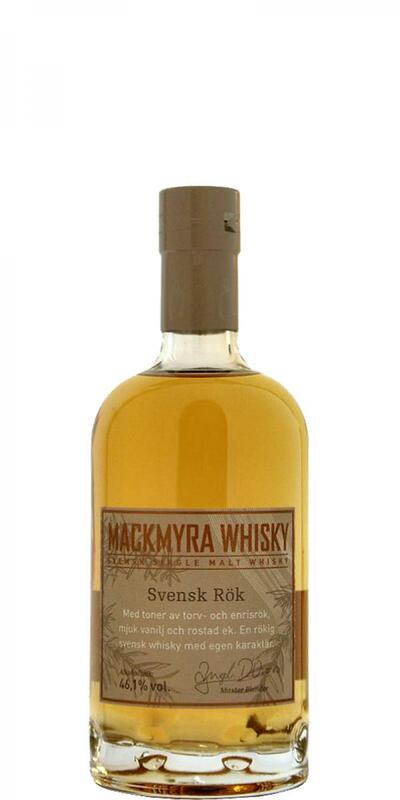 For the peated Svensk Rok they use floor malted Swedish barley. Each batch represents around 3 months of peated production. N: A peated number on smoky spruce needles accompanied by nutty>vanilla, silver skin onions, swordfish!, goji & sloe berries? - no, it’s juniper. Juniper is added to the peat fire during kilning! I wonder if they add a touch to the Bruks? I find this splendid and ingenious whisky making. T: Smoked cacao and caramel with the juniper in the background. Clever all the way. F: Hot cocoa, gentle smoke. I like, interesting, sometimes a different kind of smokiness, especially recommended for fans of juniper and herbal flavors, and there are 35 € / 0,5l also fine. N: There’s a high copper contact i’m guessing given the fruits and the funk - smoked funk. Compacted saltiness also. T: Starts rather savoury>sweet with dry heather. I sense a relaxed maturation policy i.e. a fair number of refills. Another fine Mackmyra. Not to complex. This used to be a smoky expression. Hints of smoke, green apples, citrus, neat rock, salty, juniper way in the back. Wild honey, some vanilla. Hints of smoke, salt (a bit maritime), citrus. Medium. Hints of smoke, salt and citrus. The juniper is getting more present.